How do you measure the speed of a fast-moving object? By using a speed radar gun, of course. 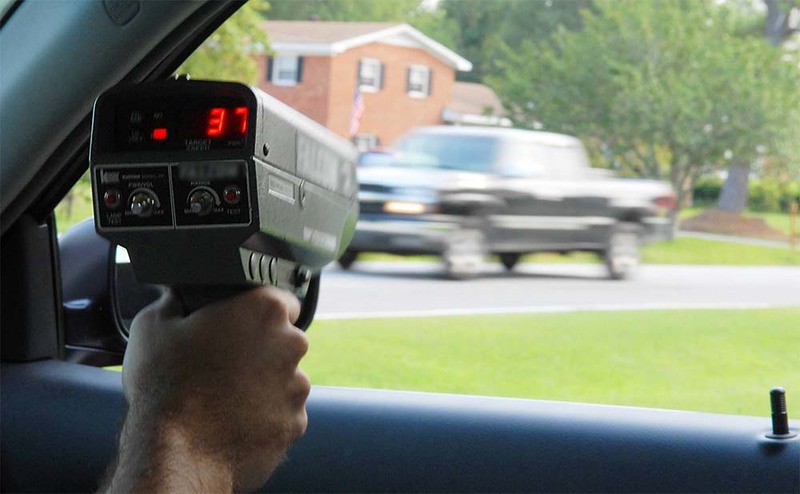 A speed radar gun can quickly and accurately log the velocity of an object – such as a car or a ball – by using radar. Radar means Radio Detection and Ranging – it is a radio wave that bounces off something and returns, all the while traveling at the speed of light. 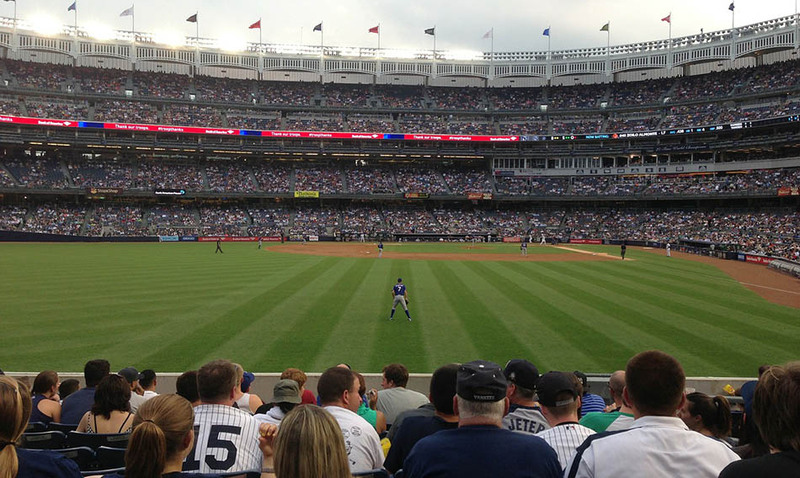 Though it is mostly seen in sports and law enforcement, radar guns are used in a variety of ways. It is also used in astronomy. With the help of electromagnetic radiation and the Doppler Effect, radar guns can detect and locate moving objects. Also known as the Doppler shift, the Doppler Effect was named after the phenomenon’s initial reporter, Christian Doppler, who was an Austrian physicist. It is the increase or decrease of a wave’s frequency as its source and its observer move toward or away from each other. A common example of the Doppler Effect in action is the noticeable change in pitch that you hear when, for example, an ambulance rushes past you. Compared to the frequency that the siren is emitting, the frequency that is received is higher during the approach, the same when it is passing by, and then lower as it speeds away. It is important to note that, in the Doppler Effect, the actual frequency of the sound doesn’t change – just the observer’s perception of it. The Doppler Effect can be experienced for any kind of wave, be it water, light, sound, or the like. We are just most familiar with the Doppler Effect and how it affects sound. The Doppler Effect is the driving principle behind the radar gun. Like other types of radar, radar guns consist of a radio transmitter and a receiver. Radar guns emit radio waves of particular frequencies in a specific direction. These radio waves hit many objects on its trajectory, which may include vehicles and balls. If there is an object in its path, some of the radio waves and electromagnetic energy will bounce back. This is how radar guns in law enforcement work: The officer aims the speed radar gun at a moving vehicle. The radar gun will emit a burst of radio waves at a set frequency, which then strikes the moving car and bounces back to the gun. The gun then measures the frequencies of the returning waves. It determines the speed of the moving vehicle by computing the difference between the emitted frequency and the reflected frequency. If you need high-quality and immensely accurate speed radar guns, turn to none other than Radar Sports, LLC. 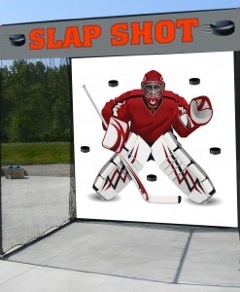 You can rely on us for top-of-the-line sports equipment. Aside from a variety of radar guns, we also offer golf cages, baseball training equipment, pitching machines, pitching mounds, and the like. For more information on us and our products, don’t hesitate to get in touch with us today. We would love to hear from you. Considered a “gentleman’s game,” cricket is a team sport that charms players and sports enthusiasts alike with its highly distinctive gameplay. It is a product of different yet equally important elements: fielding, batting, and bowling. Bowling is the part of the sport that brings the ball into the game at great speed. The history of cricket has seen some of the fastest bowlers, such as Shoaib Akhtar, Shane Bond, Brett Lee, J. Thomson, and Malcolm Marshall). Currently, Shoaib Akhtar from Pakistan holds the record for the fastest delivery at 161.3 km/h. There are two ways to measure bowling speed in cricket: radar gun and Hawk-Eye technology. Measuring bowling speed by a radar gun is similar to measuring the speed of a moving car. Also known as a speed gun, the speed measuring equipment consists of both a transmitter and a receiver. Sports officials purchase radar gun for sale because of its accurate speed measurement. It measures speed by sending a radio wave reflected by the object along its path. In this case, it’s a cricket ball. The gun receives this echo and applies the principle of Doppler Effect (the change in wavelength or frequency of a wave as it approaches or moves away from the observer) and calculates the speed of the ball. Instantaneous recording of speed as the ball passes the gun. Players can immediately see the speed on the screen. Dr. Paul Hawkins originally invented the Hawk-Eye for television purposes in cricket. The system is composed of six (in some cases, seven) cameras positioned on the underside of the stadium’s roof. These cameras track the ball’s speed from different angles. Hawk-Eye uses the data from the six cameras to track the ball’s path from the time it leaves the hand of the bowler until it goes dead. This speed measuring system is not infallible but is accurate within 3.6 millimeters. It also helps judges understand the length and direction at which the ball left the bowlers’ hand and headed to the stumps. Hawk-Eye also enables 3rd umpires to make the leg before wicket (LBW) decision by allowing them to see if the ball was actually in the line of the stumps when it hit the batsman’s pads. It’s impossible to measure ball speed manually. Fortunately, with radar guns and the Hawk-Eye system, this need not be a problem. With technology, it is easier to ensure the transparency in this gentleman’s game (or in any other sport, for that matter). Radar Sports, LLC is the leading provider of quality radar guns and other sports management equipment made in the USA. Browse through our range of products to find the perfect speed measurement tool for your game. For more information about our products, get in touch with us today. Pitching Like Babe Ruth: What Does It Take to Become a Great Athlete? George Herman Ruth, Jr. is a formidable figure in the history of American baseball. He exuded total confidence and, at the same time, demonstrated that he is someone that every other American can relate to. Major League coaches and scouts have to keep this in mind when working with their athletes. After all, what’s a better path to greatness than the one taken by America’s beloved pitcher? Having said that, here are a few lessons from Babe Ruth that can turn any dedicated individual into a great athlete. Ruth didn’t have it easy when he was young. But when he was at St. Mary’s Industrial School for Boys, he met Brother Matthias who introduced him to the game of baseball. Brother Matthias taught the young boy how to read, write, and swing in the trademark Babe Ruth way. From there, Ruth developed his love for baseball, often practicing how to pitch properly and how to hit home runs. 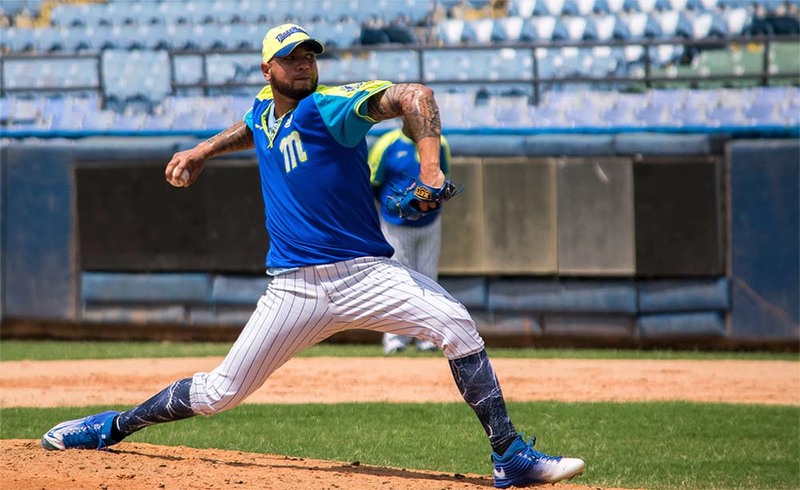 Instead of dwelling on the negatives, he put all his energy into his newfound love for the sport and establishing himself as a force to be reckoned with in the minor league. This is something that coaches and athletes alike can learn from. Rather than dwelling on your failures or your lack, focus on what will improve your skills or elevate your status. Everyone has their own opportunities, some better than others. But it doesn’t matter how great or fleeting an opportunity is. What matters is that you make the most of it and keep moving forward. Like Babe Ruth did, keep your eyes on the ball. Focus on what can make you better and lead you to the larger playing field. Don’t let distractions get in the way. The fear of failure should not stop anyone from reaching their dreams. Babe Ruth himself reminds fellow baseball athletes to never let the fear of striking out get in the way of reaching one’s full potential. But how can an individual overcome that fear and realize how great they can be? If there’s one lesson we should learn from Babe Ruth, it is to look beyond fear and, instead, channel passion. Whether someone is a pitcher or a batter, they always have to swing as hard as they can and with everything they’ve got. And whether it is during training or at the most important match of the season, athletes always have to give 100 percent. By keeping their passion for the game alive, baseball players will challenge themselves to be better than they currently are. All great athletes must start somewhere to reach the pinnacle of their career. Babe Ruth himself trained nonstop to achieve his famed skillset. As such, Major League scouts and coaches look for the best ways to develop the skills of baseball players everywhere. These include the right type of equipment for training. 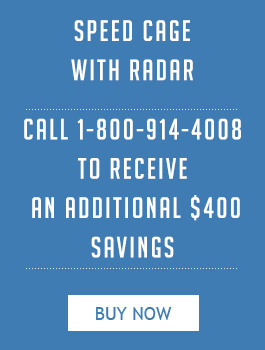 Radar Sports, LLC provides a comprehensive range of baseball radar guns and speed guns from Stalker, an internationally renowned brand of velocity measurement equipment. We are a trusted distributor of Stalker radar guns that help scouts assess new talent and assist coaches in improving the throwing arm. Invest in good radar and speed guns, today, and develop the potential that lies within determined and disciplined athletes. Get in touch with us for inquiries about some of the most advanced velocity measurement equipment available on the market. Speeding is one of the major causes of traffic fatalities in the US. In fact, 10,111 people died due to speeding in 2016 alone. Despite this, many drivers still break the speed limit. Some even resort to using radar detectors to avoid getting caught if an officer with a police speed gun is nearby. Multiple speeding tickets are not only costly but also affect insurance premiums while radar detectors cost less than $100, after all. The workaround is losing its edge, however. Radar detectors are no longer as effective as they once were. Radar detectors are devices that can be installed in cars to detect law enforcement officers with radar speed guns. Newer models come with mobile phone applications for ease of use. The device scans the Doppler radar bands used by speed guns and alerts the user once it detects one in the area. This allows drivers to slow down and keep within the speed limit before an officer catches them. Take note that radar detectors are significantly different from radar jammers. While a radar detector is a passive device that does not affect speed guns, a radar jammer transmits radio waves to overload a speed gun and confuse its readings. Radar detectors are legal in most states, with a couple of exceptions, because its alerts prompt drivers to drive slowly and safely. This is also why radar jammers are strictly illegal across the US — rather than slowing down, it encourages drivers to ignore speed limits and the police. Virginia and Washington, D.C. are the two places that do not allow the use of radar detectors. Drivers caught using these devices receive serious fines and risk having their detectors confiscated. Moreover, simply possessing a radar detector in Washington, D.C. merits a ticket, same with non-speeding cars having working detectors in Virginia. On the other hand, other states are more forgiving of the use of the device. Minnesota allows drivers to use radar detectors, as long as it isn’t mounted on the inside of the windshield. California likewise allows its private drivers to have and use one. Commercial vehicles, such as taxis, buses, delivery trucks, and ambulances, will be fined if found using radar detectors, though. New York, New Jersey, and Illinois, meanwhile, only permit private vehicles to install detectors. Police and other law enforcers are making the switch to Light Detection and Ranging (LIDAR) speed guns to counter drivers and vehicles with radar detectors. LIDAR police speed guns emit laser signals rather than radio waves. It measures the amount of time it takes infrared laser light to reflect off a speeding vehicle. Laser speed guns offer higher accuracy and are virtually invisible to detectors, thanks to its focused infrared beam. It targets a single vehicle and hits a specific point, usually the license plate, and works at greater distances than radar guns. Illegal radar jammers don’t work on LIDAR guns, as well. Radar Sports, LLC carries a wide selection of professional and high-accurate LIDAR guns for the police and the military, including speed guns from DragonEye. Contact us for more information or any inquiries about our police speed guns and other products. This baseball season has seen intense games and great performances from our favorite players. There are moments in this season that we are bound to remember, along with the record-breaking moments we cannot forget. 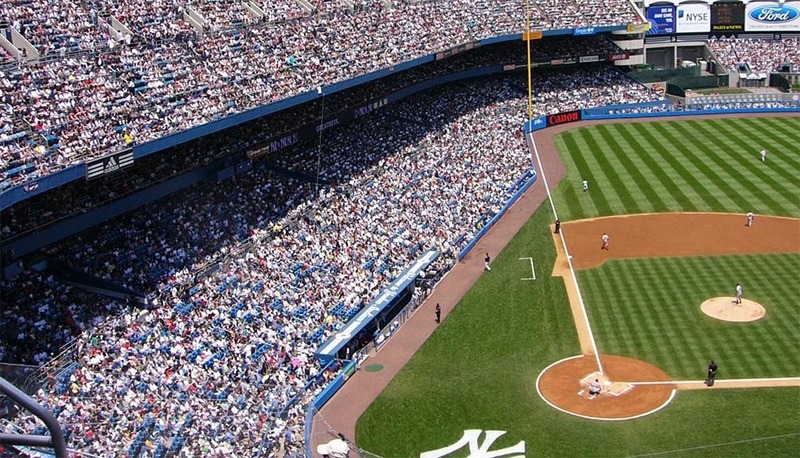 State-of-the-art radar guns and other sports equipment have allowed Major League Baseball (MLB) to record the fastest pitches ever made on the field. Let us look at some of these record-holding feats in history. Despite the facts and records that we’ve listed here, there may be pitches in the past that break the current record holder, but we will never know that for sure. Hall of Fame member Bob Feller, for example, earned the respect of members who claimed he was one of the best pitchers of their time. However, during that period, baseball radar guns were scarce. Army equipment and computations recorded one of his 1946 pitches at 107.9 mph. This is higher than the current record holder, but due to the disputed inaccuracies in computation, many claim the speed was only up to 102 mph. Today, we have more advanced radar guns to determine pitch speeds accurately. At radargunsales.com, radar guns determine speeds with precision and accuracy so record-breaking moments never go by like this again. 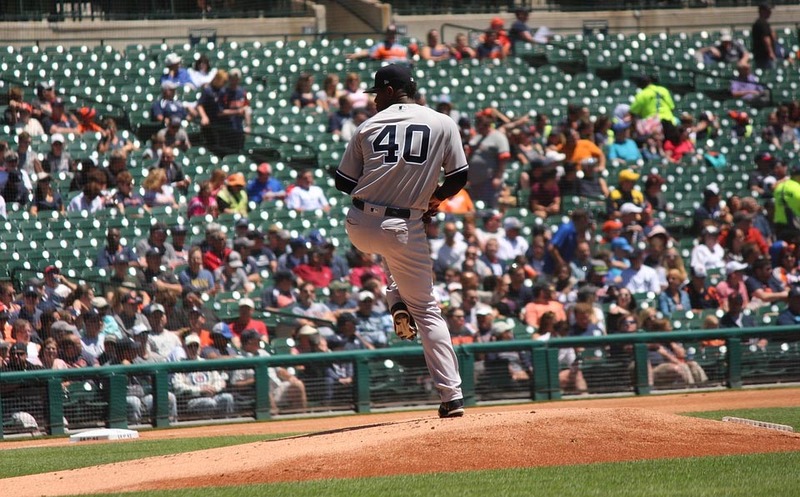 Cuban-American Aroldis Chapman currently holds the world record for the fastest baseball pitch from a male player. According to the Guinness World Records, Chapman made the pitch on September 2010 in San Diego with a record of 105.1 mph. At the time, he was playing for the Cincinnati Reds against the San Diego Padres. Baseball fans debate whether Nolan Ryan, who lost his Guinness World Records title as the fastest pitcher, deserved to remain in the books as the fastest pitch thrower. In August 1974, a laser radar measured 100.9 mph from one of his throws. However, some experts believe that his actual speed was more than this. The ball’s speed was recorded just before it crossed the plate. However, if the radar were in the standard position it is in today (the same position where radar guns recorded Chapman’s speeds), he would remain the record holder, as it would have measured 108.1 mph. Looking to the future, we may see a new record holder. Cardinals Rookie Jordan Hicks started Opening Day appearance strong and became the youngest pitcher to throw pitches over 101.6 mph. With an average velocity of 96.8, he is not far from reaching Chapman’s average speeds, according to the MLB. Baseball fans should know some of these pitching records. While we may never know the real speeds of older games and Hall of Fame members who did not have the privilege of accurate radar gun technology we do today, we can look at the present and future baseball players knowing we have the equipment to record these moments accurately as they happen. Radar Sports, LLC is the leading authority in speed management. We understand that recording these moments in sports history is crucial for the books. View our available baseball radar guns today. Are Speed Guns Accurate Enough for the Court? Police and traffic enforcers can apprehend drivers for a number of misdemeanors. For cases such as speeding, the car’s speed is the only evidence an enforcer may use. While most states allow the use of speed gun results in court, there are certain limitations to it that a driver can challenge when charged with speeding. If a driver discovers that an unqualified enforcer used a speed gun, he or she may challenge its results. Officers who use speed guns must pass an approved and certified training program before they can handle one. If a driver’s state requires this, he or she might look at the officer who issued the ticket. If the officer is uncertified, the driver can argue that the speed gun’s results are faulty due to the operator and not because they were speeding. Another way drivers may challenge the speed gun’s results is to check for its calibration and quality. To achieve the best results, enforcers must schedule a calibration of their speed guns. Sometimes, this is scheduled by the state. Calibration requires adjusting and a tuning fork test to provide accurate readings. 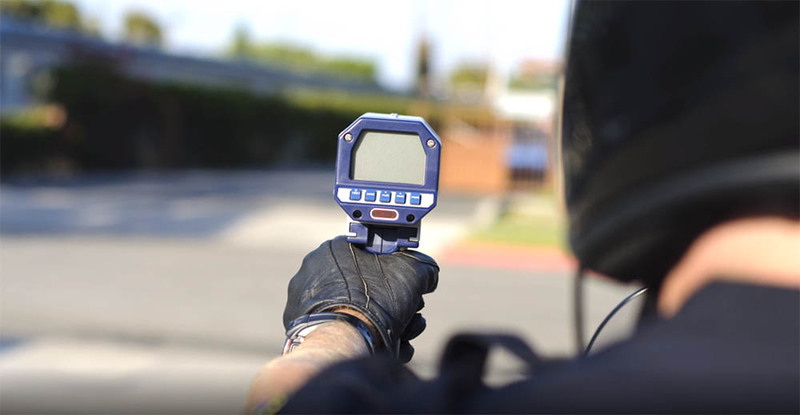 If enforcers do not use a tuning fork or do not follow the speed gun’s calibration schedule, drivers can challenge the speed gun’s results as faulty evidence. These aspects do not focus on the speed gun itself but the person using and maintaining the speed gun. However, the reliability of a substandard speed gun that cannot promise accurate results may also be questioned in court. When it comes to purchasing speed guns, police, traffic enforcers, and other authority figures on the road must choose high-quality speed guns for accuracy and precision. Many speed gun brands stand out in the sports industry and police sector, providing accurate results for many years. Two forms of speed gun technology exist in the market, both with its own way of detecting speeds. LIDAR (Light Detection and Ranging) guns use rapid laser signals to record the time it takes for lasers to bounce back from the obstacle, measuring speed and distance. RADAR (Radio Detection and Ranging) guns work similarly, except with radio waves. 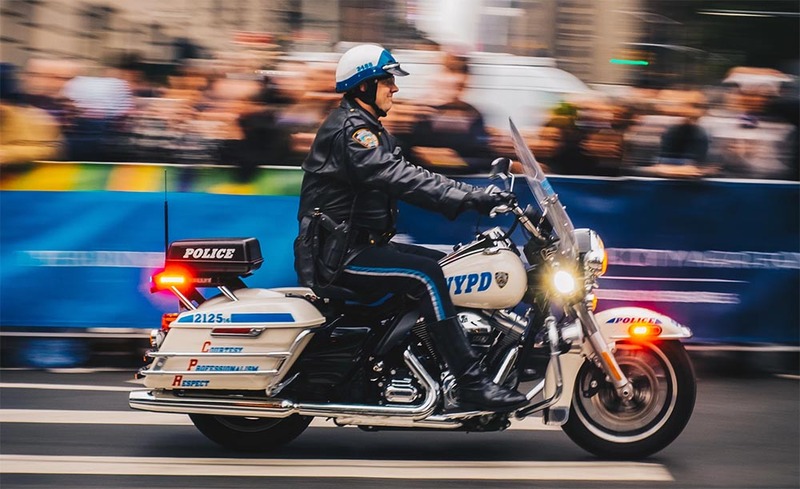 While both are effective in detecting speeds, LIDAR guns provide more accuracy, and its technology trumps illegal radar jammers used to distort the waves to record a speeding vehicle. Officers and enforcers should continue to use high-quality LIDAR guns. Brands such as DragonEye, which provide speed guns to military and private security firms, provide accurate results. Enforcers continue to use speed guns in a court of law since its accuracy in recording speeding violations remains generally infallible. While some human error may put its accuracy and vulnerability at risk, high-quality speed guns can still provide reliable evidence. 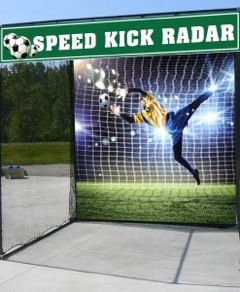 At Radar Sports, LLC, we have high-quality speed guns built for accuracy and precision. Whether it’s for vehicles or sports, we are the one-stop shop for speed guns and other speed-measuring equipment. We handpick our products and provide only the best quality, locally made products that we sell online, in our New York store, and ship worldwide. The “exit velocity” craze is making waves in Major League Baseball. The term refers to the measurement of a baseball’s speed as it leaves the bat, right after a player makes contact. It’s being heavily discussed because of how it could reveal much about the technicalities of a player’s performance. The New York Mets takes exit velocity seriously. In fact, John Ricco, assistant general manager of the team, maintains that the right exit velocity could help players reach a home run. In turn, Ricco described how, with the use of a radar gun, the best performing players could be singled out. Teams can then use exit velocity data to their advantage, improving player performance and keeping fans entertained. For years, sabermetricians — those who collect and summarize relevant data involved in in-game baseball activity — have theorized that there is no accurate way to measure how fast the batter hits a ball toward a pitcher. In fact, statistical analysis has only been able to measure how fast a pitcher throws a ball. Some researchers suggested identifying the proper “crack of the bat,” as a way to measure a ball’s velocity. It wasn’t until the concept of exit velocity was proposed that calculating ball velocity after a player hit a ball became a lot easier. Ex-Met players Ike Davis and Lucas Duda show how relevant it is to the outcome of a game. While both were left-handed power hitters who were close in age, Duda had a significant advantage because he had a better exit velocity. 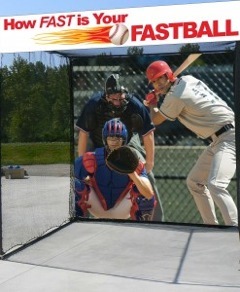 Analysts believe that a batter needs an exit velocity of 95 miles per hour to hit a home run. The number is not difficult to achieve, however, since it is normal for players to go over that figure. Not everyone is convinced of the value of exit velocities, however. Some choose to focus on other factors like how the way pitchers throw the ball to win the game. Several analytics teams have calculated how exit velocity enhances baseball performance. They view the measurement as a way to evaluate players and identify room for improvement. A lower exit velocity can, for instance, suggest that a player needs to adjust his swing relative to the way he holds the bat. A lot of factors come into play when achieving the ideal exit velocity, though. 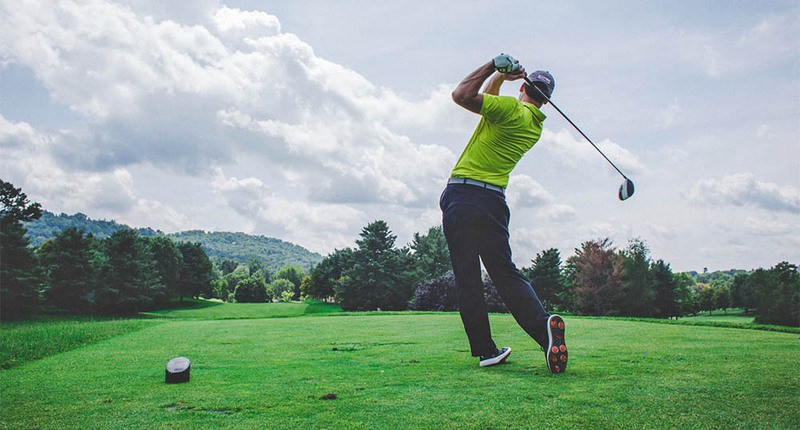 Timothy Chupp, a nuclear physicist from the University of Michigan, says it requires hitting the ball in the right place at the right time. Hitters need to give the bat an undercut to make the ball backspin and give the ball an extra boost. This makes it difficult for everyone but the players to achieve. Exit velocity data is easier to measure, thanks to Stalker baseball radar guns, which offer proper velocity feedback and a clear display. They are a reliable tool because they provide accurate measurements like how fast a pitch is moving toward the plate, or the speed of a ball as it leaves the bat. Teams are playing closer attention to exit velocity because it brings them one step closer to a home run. Radar Sports, LLC can help you accurately measure the speed of blazing fastballs with its guns and equipment.